Our goal at Advanced Wellness Center is to serve our community the unique clinical services provided only by Chiropractors. We correct vertebral subluxations of the spine to allow your body to heal and stay active as we age! Vertebral subluxations cause interference to the brain-body communication in the nervous system affecting the ability of the body to function properly. The brain communicates with every cell, tissue, and organ of your body either directly or indirectly through your nerve system. Unfortunately, we don’t appreciate the importance and impact of this system on our overall health until we hear of the tragedies of paralyzed people who sustain serious injuries to their spines. Not only do they lose function of their limbs, but their organs and systems malfunction also, causing all manner of disease. Spinal injures, known as subluxations, while not as serious as these paralytic injuries initially, can cause severe long-term health consequences. The Chiropractic care we provide will help you ensure the integrity of this vital system, your mind-body connection, so you and your family can live and enjoy life to its fullest. We specialize in the Activator Technique of Chiropractic care. This technique is designed to deliver chiropractic in the most gentle of ways. The Activator is a hand held instrument, which delivers the most specific and gentle correction to the spine, shoulders, knees, ankles, and wrists. For more information on the technique please visit www.activator.com or see our photos of patients every age receiving their adjustment. Both Dr. Troy Walker and Dr. Heather Peery have been Advanced Proficiency rated since 2003, the highest level of performance, and continue yearly education in new research and performance of the technique. 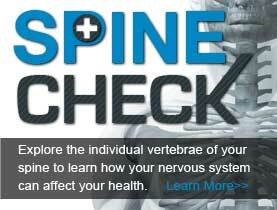 When necessary, specific analytical tools like x-rays or computer postural analysis is used to help determine the best possible way to correct vertebral subluxations. We believe the more you know about your body the better choices you can make to be healthy. We offer workshops throughout the year educating the community on nutrition and lifestyle strategies. These classes provide important information about the body and those actions that can improve your well-being. There is no charge for these in-office workshops and anyone is welcome. Call our office for upcoming workshops. Chiropractic is more than an adjustment to the spine, it is a lifestyle and we want to encourage you to take healing and wellness beyond our office doors. Our office is peaceful and relaxing so you can leave feeling re-energized. It’s a comfortable setting that puts everyone at ease. Families can enjoy time together or working individuals can escape on their break. We ask that you keep your cell phones off while in our office so you and others can enjoy the moment without distractions and stress. Massage therapy are systems of structured palpation or movement of the soft tissue of the body which can greatly assist with the structural changes your Chiropractic care is providing. Bobbie is proficient in techniques such as swedish, deep tissue, relaxation, and myofascial release. Myofascial release is an effective therapeutic approach in the relief of cervical pain, back pain, fibromyalgia, scoliosis, and neurological dysfunction, restriction of motion, chronic pain, and headaches. Massage will enhance the general health, healing and well-being by improving the overall circulation and muscle balance. We offer 30 minute, 60 minute or 90 minute massage. Why does anyone need Chiropractic? We all exposed to stress; environmental, chemical, emotional and physical stressors which cause the interference in our nervous system. The bones of the spine move away from their normal position and place pressure on the nerve, called subluxation, causing interference with the communication between the brain and the body. Chiropractic restores and improves the communication in the mind-body connection enlivening the natural process of life expression. Who wouldn't want their body to have every opportunity to heal itself naturally and have every potential to be healthy & active as you age? Who can receive Chiropractic adjustments? Anyone who has a spine can benefit from Chiropractic. Every generation deserves to express their full potential from birth until their last breath. Olympic and many famous athletes have chiropractic as part of their lifestyle & training to keep their body in top condition. Children, teenagers, moms, dads, elderly, pregnant women, individuals with scoliosis or other spinal conditions all benefit in amazing ways from corrective and wellness chiropractic care. No matter what your genetics or age may be when your body and genetic intelligence are in harmony communicating clearly to each cell, tissue, organ, and system there is a greater life expression. What is the activator technique? The Activator Method is both a way to analyze the body for subluxation and the instrument used to make specific corrections. The technique requires additional schooling and Advanced Proficiency testing every year in which we continue to learn the newest research, analysis, and adjustments to help the body function at a hi gher level. The Activator is a hand held, spring-loaded instrument that delivers an extremely gentle and specific adjustment to the spine, ankles, knees, shoulders and wrists. This technique allows your body to be perfectly relaxed during the adjustment making it gentle and effective for our smallest newborns to our great-grandparents. Why do I need continued care once I am feeling better? Research has proven that subluxation causes premature aging in the spine, decay beginning within two weeks of the misalignment. The concept of “I’m healthy if I don’t feel pain” is dangerous. Did you know that one of the first symptom of heart disease can be a heart attack? Subluxation interferes with your body’s natural ability to heal causing the body to be in a state of dis-ease often without any symptoms until the final stage. For example: would you go to a dentist who would wait until you were in pain before he checked you for cavities?.....to an internist who told you to wait until you had a stroke before addressing high blood pressure?....to an oncologist who said the only time to deal with cancer was when the tumors started making you feel sick? OF COURSE NOT! You may begin Chiropractic with pain or symptoms, however when you feel the way the body is meant to heal and function so you can live a healthy, active lifestyle when would you want that to stop? If you truly want to be healthy from the inside out and continue to live in a state of healing then your nervous system must be communicating 24/7 100% over the course of your lifetime. Why don't M.D. 's refer us to Chiropractors? We actually receive many referrals from M.D.’s, surgeons, specialists and dentists who are educated on Chiropractic. 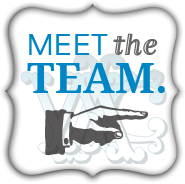 We work together as your health care team so you get the best results and achieve the greatest change in your life. There is a quote from Deepak Chopra, M.D. in his book Quantum Healing that states “all disease results from the disruption of the flow of intelligence.” Our mission as Chiropractors is to remove interference in the flow of intelligence, our nervous system, so our bodies can live in a state of healing and optimal health. To achieve this over a lifetime you must implement self care, the lifestyle choices you are responsible for everyday, and a health care team for the things your body needs that you cannot do yourself. How long does the first appointment take? Your first visit will take approximately an hour. The doctor will review your health history, perform a complete evaluation, computerized postural analysis and if necessary x-rays so we know how to best help you. You will also schedule for your 2nd visit, which is the doctors report. 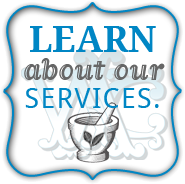 This takes place on Monday evenings at 6:15pm where we first have an important new patient orientation, then individually we go over your scans, findings, recommendations and all financial options. We encourage you to bring a friend or loved one to this 2nd appointment. How can Chiropractic affect my daily life? As you mind and body are communication more effectively it revitalizes energy, spirit, creativity and focus. We hear great examples daily form patients regarding…how they are more social, enjoy playing with their kids & grandkids, able to increase activity, endurance, feel stronger, have a greater sense of purpose and passion for life, enjoy traveling and vacations again, more creative at work and live with greater confidence & happiness in themselves. These are the real benefits of living a Chiropractic lifestyle! 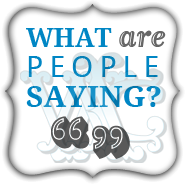 You can read some of these great stories from the patients on our testimonials page. What all can Chiropractic help? Subluxations sabotage your health; did you know that your nerve system is the remarkable link responsible for communication between your mind and your body? The University of Colorado found that only 10mm of mercury pressure (about the weight of a dime) can reduce nerve transmission, while the stretching of a nerve by as little as 6% can decrease its strength by up to 70%. This vital connection between your health and the health of your spine can no longer be ignored. Left unchecked, subluxations diminish your quality of life and can effect asthma, allergies, acid reflux, immune system function, digestion, menstrual cycles, weight, metabolism, headaches, migraines, sciatic, back pain, fatigue, sinus congestion, ear aches, diminished sleep, carpal tunnel, tmj, knee, ankle, shoulder pain, plantar fascitus, degeneration, premature aging, and decreased energy plus many other conditions. Millions of people are seeking out and utilizing chiropractors to help them improve their health and quality of life. Experience the difference chiropractic can make for you and your family.